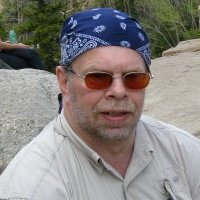 Oddly enough, the seemingly opposite assumptions that are the cornerstones of general relativity and quantum mechanics contradict each other. But each theory enables physicists to make remarkably accurate predictions of how the universe and the tiniest things in it work. You can read my review of Carlo Rovelli’s Reality Is Not What It Seems in the Sunday, January 29, edition of the News & Observer, by clicking the image below. 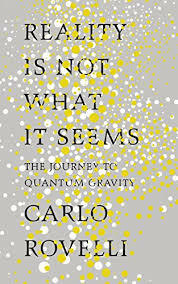 You can buy Carlo Rovelli’s Reality Is Not What It Seems at Barnes and Noble. The dialogue floats along for several pages before you figure out just what is going on and who is talking. “Like worms, all over” partly describes Amanda’s pain as she lies dying in the emergency clinic. But the dialogue also gives an eerie supernatural feeling to this feverish allegory about pesticide poisoning. You can read my review of Samanta Schweblin’s Fever Dream in the Sunday, January 8, edition of the Houston Chronicle, by clicking the image below. 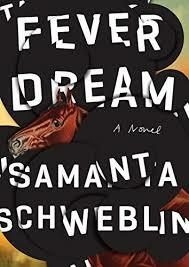 You can buy Samanta Schweblin’s Fever Dream at Barnes and Noble.